Promotional products were around for nearly 100 years before they hit it big. The first promotional items to be given away were campaign buttons supporting George Washington’s run for presidency in 1789. Considered the first promotional product, these buttons were handed out to support George Washington’s campaign for presidency in 1789. Political campaigns continued to make use of promotional items like buttons over the next century. Promotional bookmarks, rulers, and calendars provided branding opportunities as well. Then, in 1886, a newspaper salesman named Jasper Meek changed promotional branding forever. Meek saw a child drop her schoolbooks in the dirt, and it gave him an idea. What if schoolchildren were carrying bookbags printed with advertising messages? The campaign proved a success for everyone involved: Meek was able to grow his printing business, the bags increased sales for Cantwell Shoes, and the children received a bag that made carrying their books easier. This was the founding of Meek’s promotional product company, which soon transitioned to branding many different items used at the time, including buggy whips, calendars, aprons, and fans. Over the course of the 20th Century, tote bags grew in popularity and began to be used to promote a variety of causes and businesses. This tote, believed to be from 1920, is an early example of tote bags being printed and distributed in support of a cause. One of the most iconic tote bags proved to be the L.L. Bean Boat and Tote Bag, a canvas tote first introduced in the 1940s. Boat Bags helped to make tote bags trendy as both a functional and fashionable accessory. And, Boat Bags remain a top seller for L.L. Bean today. 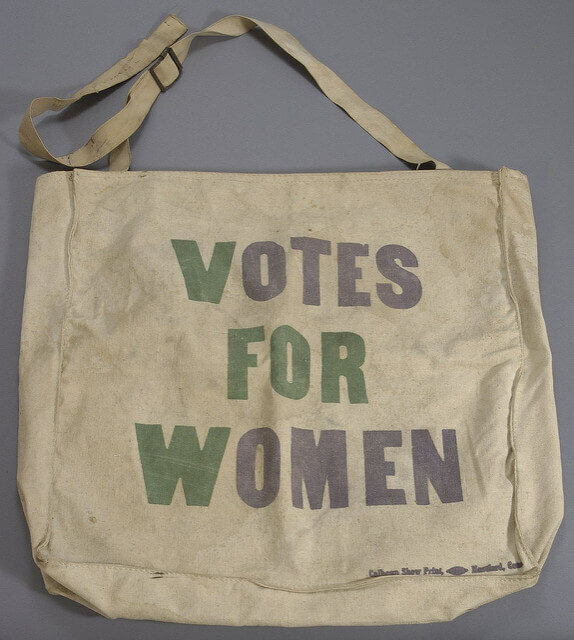 In the 1960s, growing calls for social and political change in the U.S. led people to screen print their views and calls to action on bags. Tote bags began to be used more frequently to raise awareness of causes rather than brands or businesses. From there, tote bags became not only an advertising medium, but also a form of self-expression. An example of this is New York City bookstore The Strand. In 1980, they introduced a basic tote printed with the store’s logo, address, and book related slogans. 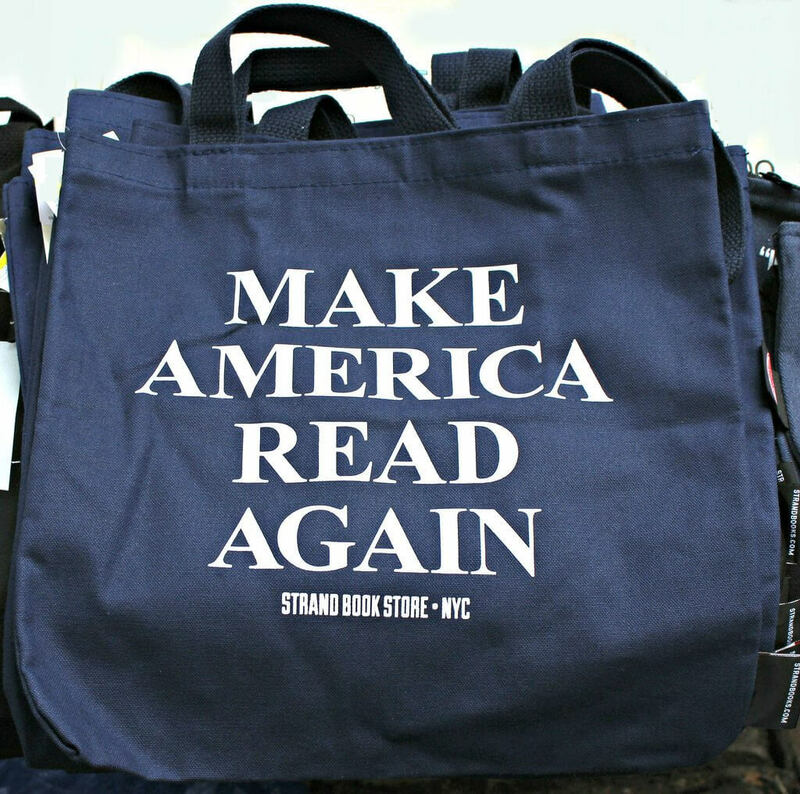 A recent tote offering at The Strand crosses current trends with their call to action: read more books! Like the Boat Bag, The Strand’s totes have increased in popularity, with the store selling over 89,000 totes just in 2016. They worked to increase interest by expanding their imprints to allow for more personalized choices. Fans of the store can purchase different color bags, bags printed with landscape scenes or animals, and even totes featuring leading figures like Michelle Obama. Each bag retains branding with The Strand’s logo. Why Invest in a Branded Tote Bag? Consumers today increasingly make purchases based on reusability, sustainability, and limiting their environmental impact. Reusable totes have gained favor as an alternative to single use plastic bags. Tote bags also have a major advantage in terms of visibility. Research shows that bags generate more impressions than any other promotional product, at almost 6,000 impressions during an average bag’s lifetime. The Cantwell shoe bags were burlap, the Bean Totes canvas. Even fashion designers have created high-end bags in the tote style made with quality leather. But if you take a look at the reusable, branded tote bags in your household, it’s likely most of them are made from a different material: polypropylene. A form of plastic, polypropylene became a common material for promotional products in the mid-2000s. From an economic standpoint, polypropylene has allowed bags to become one of the least expensive promotional items with one of the lowest costs per impression. Some manufacturers have committed to making their polypropylene bags from recycled plastic bottles, enhancing their positive environmental impact. 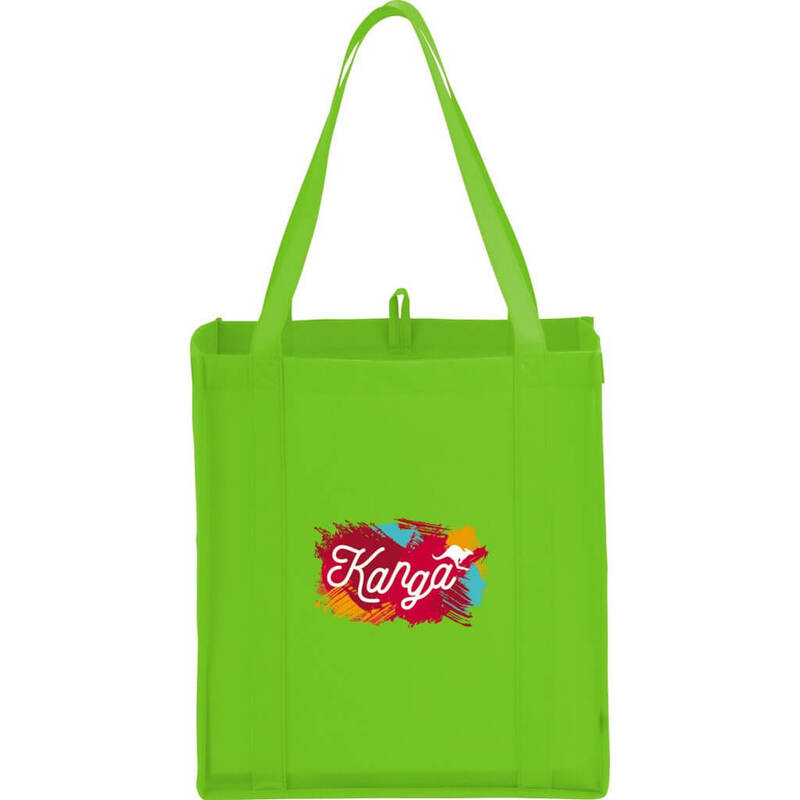 Tote bags are available for branding in a variety of colors, materials, and styles. Both poly and canvas bags remain popular and can be purchased as basic grocery totes or with more advanced features, including lamination, zippers, side pockets, and additional accents. Lately, suppliers have been expanding their bag materials to include jute, cork, and recycled cotton for enhanced sustainability and a unique look and feel. 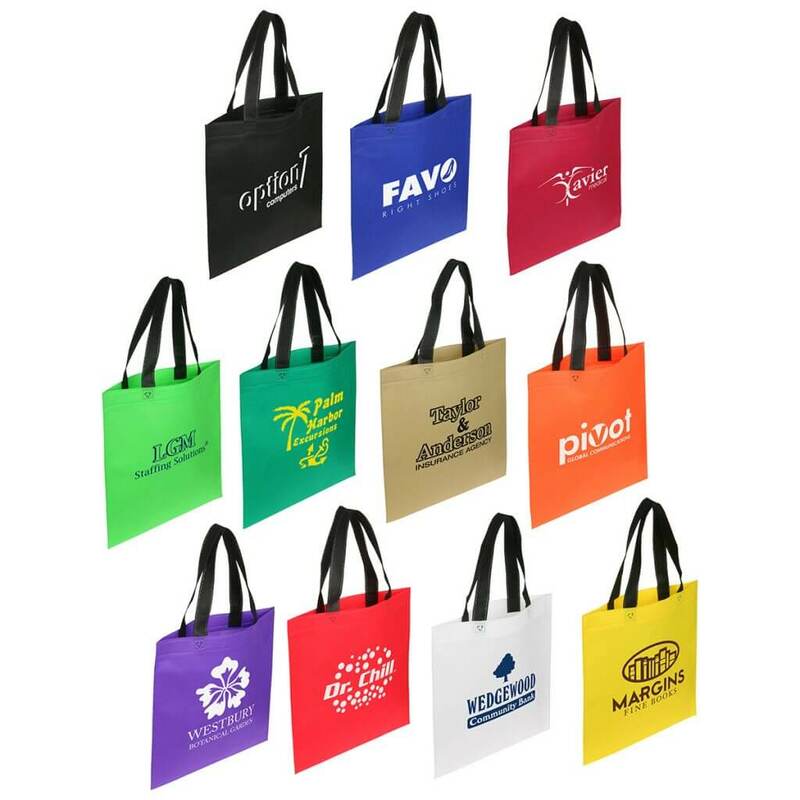 Branded totes are versatile, functional, inexpensive…and they are proven to increase brand awareness. Like what you read? Keep an eye out for more Fun History of Promo stories to come! And contact our Promotional Branding Specialist, Sarah, to start marketing your brand with promo.